Do you love eating with Disney characters? 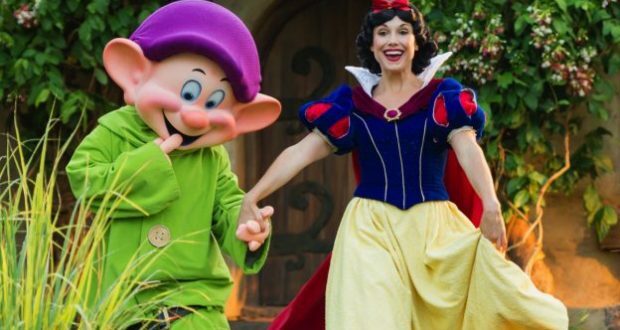 Disney World is adding an awesome new character dining experience that is going to have fans of a Snow White going crazy. Check out all the details below! Storybook Dining at Artist Point will invite guests to venture into an Enchanted Forest-like setting inspired by Walt Disney’s “Snow White and the Seven Dwarfs.” There, you’ll enjoy a delicious meal of fantastic fare with visits from Snow White, Dopey, and Grumpy. 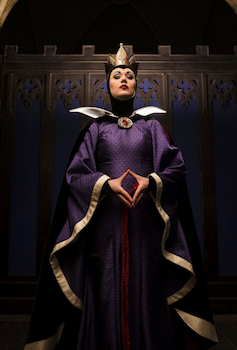 Delightful music and activities will help bring the classic fairytale to life, and you’ll even have an opportunity for an encounter with The Queen. My counterparts from our Food & Beverage team will have more to share soon. Be on the lookout for additional details, including menu offerings, an opening date and when you can book reservations, as well as where you might be able to find select fan-favorite Artist Point menu items in the future. When dining at Walt Disney World, character buffets stand alone near the top of dining options. In addition to having a great meal, most character buffets at Walt Disney World are buffets or family-style dining options. While enjoying their meal and being able to relax from a long day in the parks, guests will also have the ability to meet with some of their favorite Disney characters while enjoying their meals and have the ability to have their photos taken with them. All four of the parks have at least one character dining option and several of the resorts also have character dining options, too. While character dining can be expensive, it is worth checking out at least one option during your next visit. Here is our list of the top five character dining options at Walt Disney World. Situated in the heart of the Africa section of the park, Tusker House is a great character dining option for guests. First, Tusker House serves breakfast, lunch, and dinner and are able to meet with their favorite characters during all of these meals. Guests can expect Mickey, Goofy, Donald, Daisy, and maybe even Minnie to visit their tables during the meal. Additionally, Tusker House is a great selection for guests looking for an adventurous offering. In additional to traditional buffet selections, guests can also find African-inspired fare to tantalize their tastebuds.